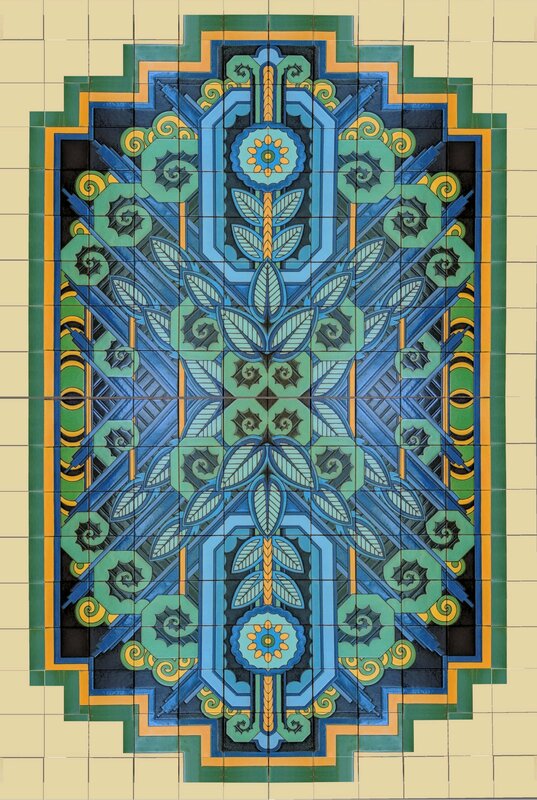 An exuberant panel of blues and greens is designed in a Spanish Art Deco style. Dimensions: 72in. × 108in. × 0.5in.